It’s easy to question where Eva Braun’s heart really lay. When a 17-year-old girl decides to shack up with a powerful 40-year-old, most will assume that the girl is in it for something other than his charm and good looks. Hitler, with his thin mustache and shrieking voice, was an absolute ladykiller—even when the girls didn’t know who he was. And their love—for Eva Braun, at least—was true love. When Eva and Hitler’s relationship started, Hitler was already living with another woman—Geli Raubal, who, incidentally, was his niece. Every indication suggests that Hitler loved Geli more than he loved anyone in the world, but Geli doesn’t seem to have felt the same. In September 1931, she announced that she was leaving to Vienna to marry another man, infuriating Hitler. The two fought bitterly all through the night, and the next day Geli was found dead from a self-inflicted gunshot. Eva, already the other woman, consoled the heartbroken Hitler. Their relationship really started then. But this really should have been a warning sign. Hitler was with another when they met, and he drove her to suicide. This pattern followed through all of Hitler’s life and all of his relationships. Hitler was romantically linked with eight different women—and every single one of them attempted suicide at least once. He had a terrible impact on the women he dated, and Eva Braun would suffer from it more than anyone. Hitler was terrible to the women that loved him. Only one of those eight women he drove to suicide came before Eva—the rest came after. Hitler cheated on her, and he did it a lot. Perhaps his most notable affair was with Renate Muller, one of Germany’s top stars of the silver screen. Hitler lured her into making propaganda films in the mid-1930s and then into a little bit more. 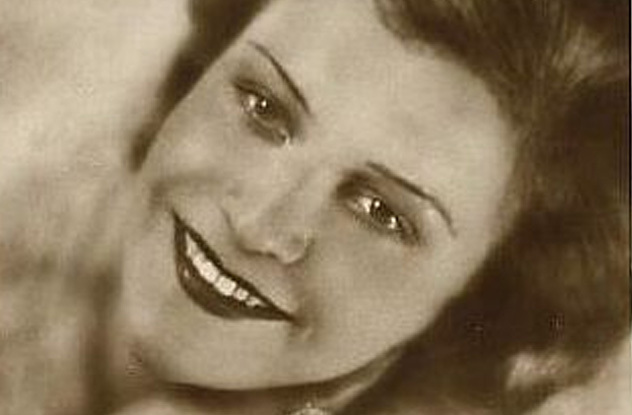 According to one account, which Renate allegedly told directly to Adolf Zeissler, Hitler threw himself onto the floor and begged Renate to abuse him. Soon, at his demand, she was beating Hitler with a whip and cursing him out while he masturbated. It’s impossible to know if that really happened or if it’s just propaganda—but they certainly did have an affair, and Eva Braun knew about it. And in 1937, Renate followed the path of all of Hitler’s lovers: she jumped out of a window and ended her life. 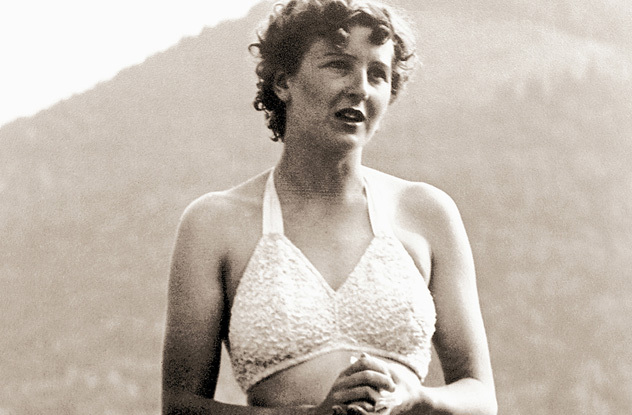 Eva Braun was not the type of woman who accepted open relationships. When she saw Hitler running around with other women and leaving her in the lurch, she was heartbroken—and she decided to do something about it. Eva got ahold of her father’s pistol, turned it to her own heart and fired. The only thing she’d ever seen truly move Hitler was Geli’s death, and if he couldn’t take care of her, he’d have to go through the whole thing again. Eva missed the heart, either because she wasn’t really ready to die or because she didn’t understand human anatomy. When she realized she was still alive, she called Hitler’s personal doctor. The general assumption is that this was all a plea for attention, and that she’d called Hitler’s doctor to make sure the message got passed on. If it was, it worked. The message was passed on, and Hitler showed up at the hospital with flowers and promised that he would take care of her from then on. Promises aside, Hitler never became a great boyfriend. 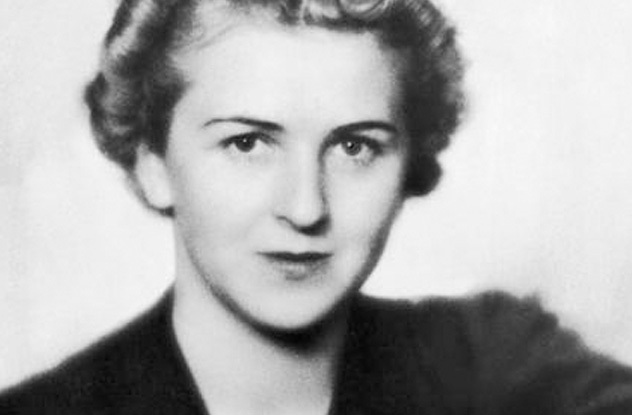 Nobody was allowed to know that Eva Braun was his mistress—and he made her go through some humiliating experiences to hide it. When Hitler’s old friends were at his home, he’d let Eva linger about. But if a dignitary or cabinet minister showed up, she was hidden in a private room next to Hitler’s bedroom so that no one would see her. Stuck alone in a room like a private shame, she was described by Hitler’s colleagues as deeply unhappy and deeply in love. 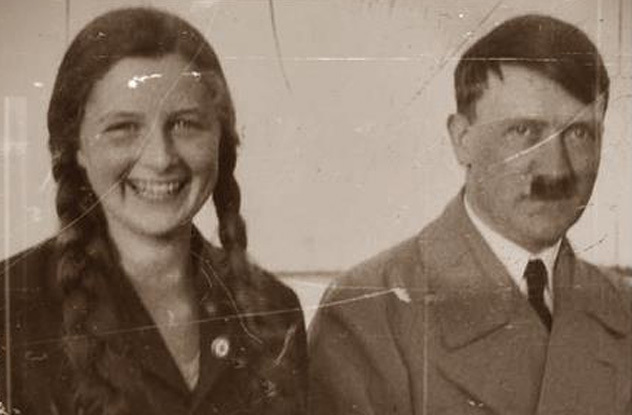 Over time, Hitler came up with a few excuses to be with her. In time, he named her his “private secretary” to keep her around. But even then, she was forced to sneak into the house through the back door where no one would see her. As terrible of a man as it was that she was in love with, she loved him—and he tucked her away where no one could see her as a private shame. 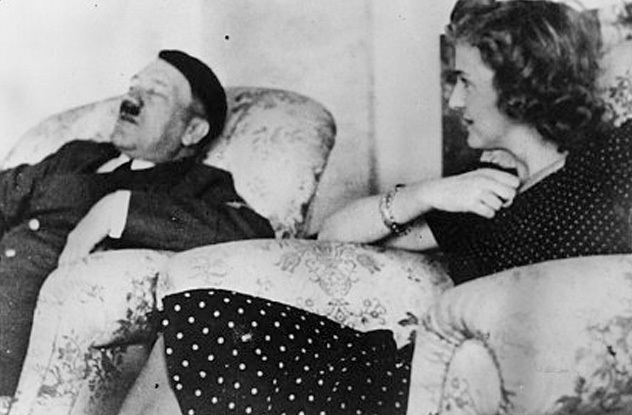 In 1935, Eva Braun went a full three months without hearing a single word from Hitler. Word had gotten out that he was spending his time another woman, and Eva realized that shooting herself had done nothing. He hadn’t changed. This time, she decided she would make it stick. In her diary, she wrote, “God, I’m afraid he won’t answer today. I’ve decided on 35 pills this time and it’s going to really be a ‘dead certain’ business. If only he would have somebody call.” Then she took a bottle of sleeping pills, downed them all, and waited for darkness to overcome her. Again the suicide failed, and again, Hitler showed up at her home with flowers. He begged for forgiveness and, according to her diary, promised to buy her a house. It was only the second of three suicide attempts—but it was, at least, the last one she would do alone. Eva Braun’s life still didn’t improve that much. Another problem in their relationship lived in Hitler’s home—Angela Raubal, the mother of his first love Geli. The whole time their affair was growing, Hitler kept his ex-lover’s mother in his home, where she watched the man who had driven her daughter to suicide cavort with his mistress. Angela Raubal hated Eva Braun. She did not even try to keep her contempt a secret. 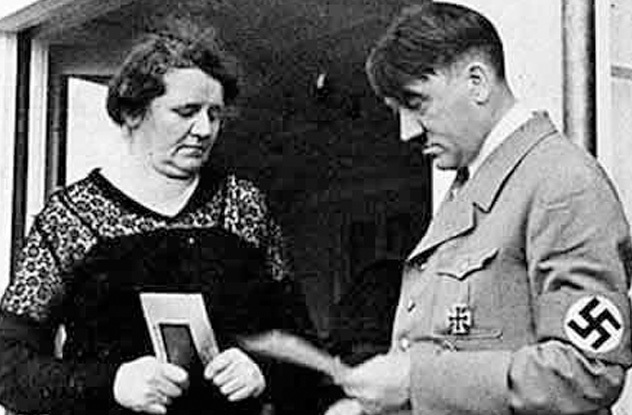 It was an open hatred, as she let anyone who cared to listen know that this Eva woman had no place in Hitler’s life. 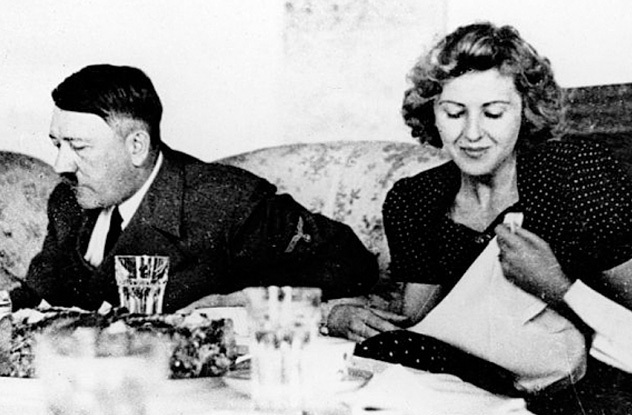 Alone except for people who hated her, Eva Braun spent most of her time reading books and watching movies by herself. Reportedly, she would even stare at photographs of Hitler during mealtimes to content herself with the imagined thought that he was there with her. Her victory didn’t come until she tried to overdose on pills. Only when the risk of another dead lover was on Hitler’s hands did he get Angela Raubal moved out of Hitler’s home, and Eva got a rare win—she was allowed to move into Hitler’s home. As the war raged on and the Allied armies advanced on Germany, it soon became clear that Germany would fall. The Soviets were getting closer, and there was no question that when they arrived, Hitler would be killed, along with all associated with him. Eva was in peril, and those around her knew it. 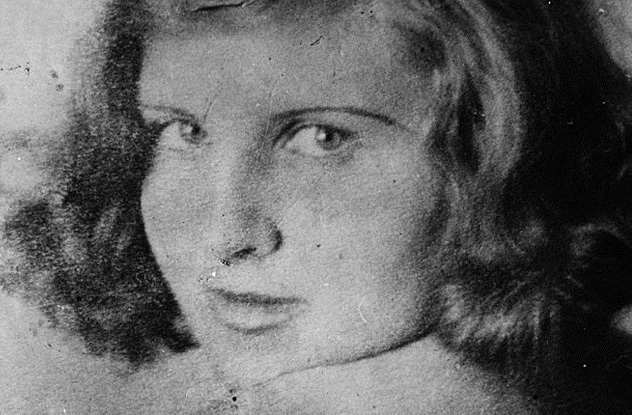 In 1943, Henriette von Schirach, the wife of the Reich’s Youth Leader, tried to persuade her to flee Germany and Hitler’s side—but Eva Braun refused. She went through with her promise. When the time came, she joined Hitler in an underground bunker, prepared to die by his side. With only hours of life left to live, Eva Braun still found ways to go through tragedy. From the bunker, Hitler sent for Eva’s brother-in-law, Hermann Fegelein. Fegelein had married Eva’s sister in a ceremony, with Hitler himself signing as the witness. When they found him, though, he was drunk, carrying a suitcase, filling it with loot he stolen from around Berlin, and getting ready to get as far from Germany as he possibly could. A strange woman who was not his wife was with him, and she made a quick escape out the window when the Nazis arrived. 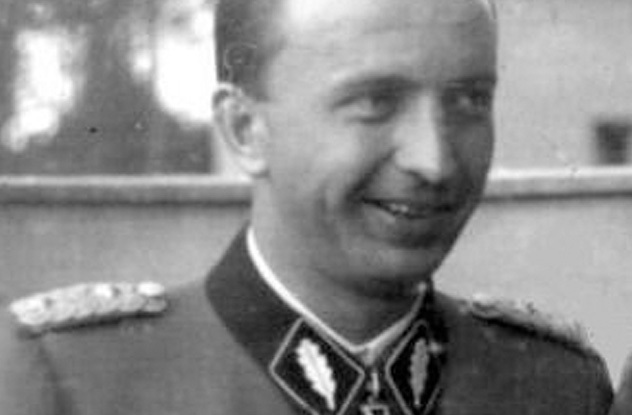 Fegelein was dragged to the bunker on Hitler’s orders. He had picked a bad day to desert—Himmler had just betrayed Hitler by trying to surrender Germany behind his back. Hitler became convinced that the woman who’d escaped was a spy and that Fegelein was committing treason—and so Eva’s brother-in-law was dragged out and shot. 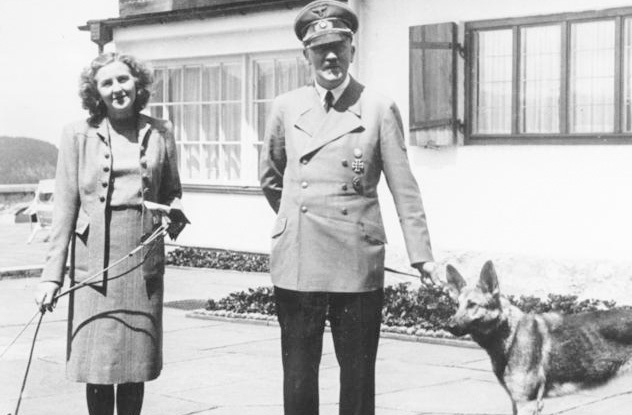 In the bunker with Eva were a few of Hitler’s most trusted men—and his dog, Blondi. Blondi had been a mortal enemy of Eva’s already. Eva, who must have directed some of her frustration over the coldness of the man she loved onto his dog, complained that Hitler gave it affection she never received. When the dog snuck under the dinner table, she would kick it as hard as she could and delight over Hitler’s confusion. When the group decided to end it, Hitler gave a cyanide capsule to Blondi first to make sure it would work. When the dog died, he let out howls of grief and was completely inconsolable. When Eva took her cyanide capsule and ended her life, according to the nurse, not a soul in the place was as upset as they were when the dog died. And so the short and tragic life of Eva Braun ended with much the same heartache that filled it. She was hidden under the ground and unloved, following a man she was willing to die for.